There are currently no Hickory Hickory, NC notable alumni listed. Be the first to add an HHS famous alumni. This section is to remember Hickory High Hickory, NC alumni who have passed away. There are currently no memorials for Hickory Hickory, NC alumni. 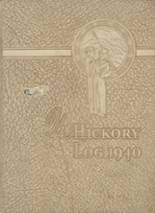 The alumni of Hickory HS in Hickory, North Carolina are encouraged to use this site to relive their time in high school by sharing with former students and teachers of Hickory High School. 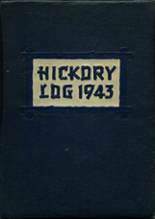 If you are an alumn of Hickory HS you should register now in the alumni directory. We also encourage you to interact with the rest of the alumni on this site. You can find old friends, share photos and stay updated on the latest school news. You can share memories of those activities that you were involved with at Hickory HS and you can view other alumni and read what other former students have posted about the time they spent at Hickory. Heath Watson has someone searching for them. Richard Chamblin has someone searching for them. Mary Ford has someone searching for them. Michael Hord has someone searching for them. Laura Swink Swink Hicks registered as a HHS Class of 1980 alumni. Laura Swink Swink Hicks added photos to their personal photo gallery. Laura Swink Swink Hicks updated her profile picture. Laura Swink Swink Hicks requested a HHS yearbook from 1980. Jon Parker registered as a HHS alumni. Jon Parker added photos to their personal photo gallery. Jon Parker updated his profile picture. Chad Bruner added photos to their personal photo gallery. Chad Bruner updated his profile picture. Chad Bruner registered as a HHS Class of 1991 alumni. Vicki Slater Newell registered as a HHS Class of 1976 alumni. Vicki Slater Newell updated her profile picture. Vicki Slater Newell added photos to their personal photo gallery. Deborah McNuer updated her profile picture. Deborah McNuer registered as a HHS alumni. Deborah McNuer added photos to their personal photo gallery. Rick Ward added photos to their personal photo gallery. Rick Ward updated his profile picture. Rick Ward registered as a HHS alumni.